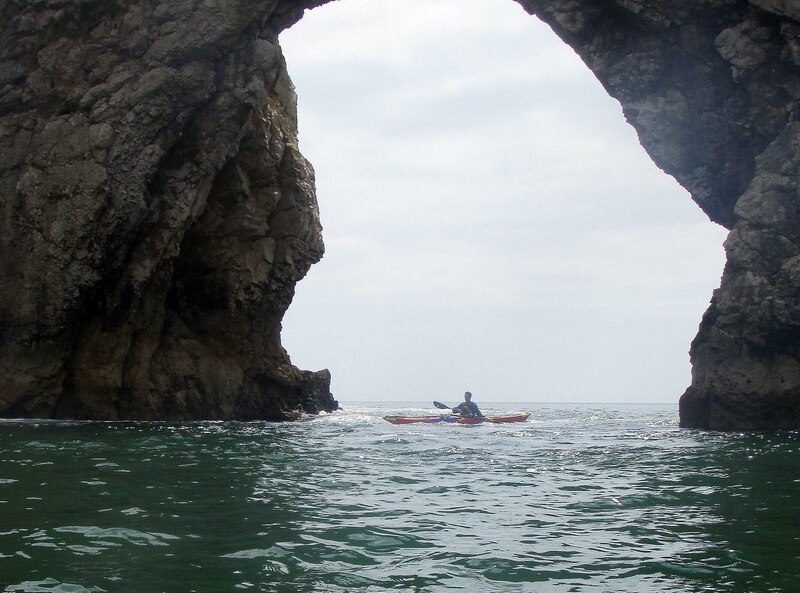 4 of us decided on the kimmerage paddle on bank holiday Monday, as I had also offered to do a trip to Symonds yat. Allan Sturman, Clare Thurger, Sheila Villet & myself set off to a really calm sea, max wind speed 2mph & 0.5knot Tidal assistance. I think every other Sea Kayaker on the south coast had the same idea as us. We made a brief stop at Lulworth cove where there was 100's of people lined all around the stoney beach. There was a small group of novice kayakers that set off from there in borrowed boats, to our amusement this one guy (15 stone Mr Mussel type) was showing off to his mates how strong & fast he could go took 4 strokes and promptly fell in, to which he started to scream "Help me" as he doggy paddled back to the shore. That was the only kayaking he did that day. 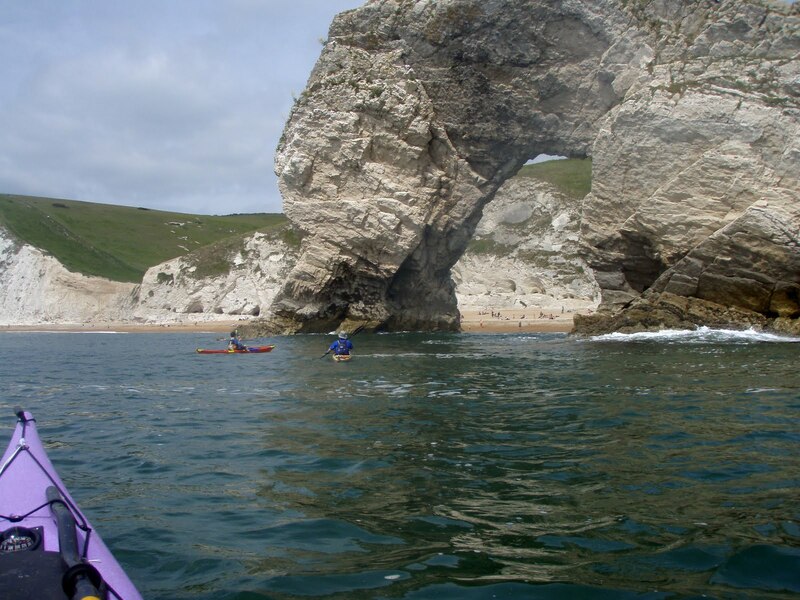 we set off again around the corner to have a play in Durdle door and stopped for lunch in St Oswald's Bay. The return leg was rockhopping all the way to Worbarrow Bay where we stopped for a quick visit to Tyneham village.